The first winner was Maxine Reifer Borcherding, from Oregon, U.S.A. However, as our first winner didn't answer our contacts and didn't claim her prize, we were obliged to randomly draw another winner. This time, the lucky winner was Malachi Bona Zwane, from South Africa, living in Barcelona. If this winner doesn't intend to enjoy the prize or doesn't claim it in the next 48 hours, a third winner will be selected. A complete wine tasting at Wines of Portugal Tasting Room in Praça do Comércio and near the city's main attractions. A wine and regional products tasting at By the Wine, a famous wine bar in Lisbon by world-renowned producer José Maria da Fonseca, where you will be able to taste the best Portuguese dishes and flavours. Thank you to all of the contestants! We wish you all better luck in the next contest! 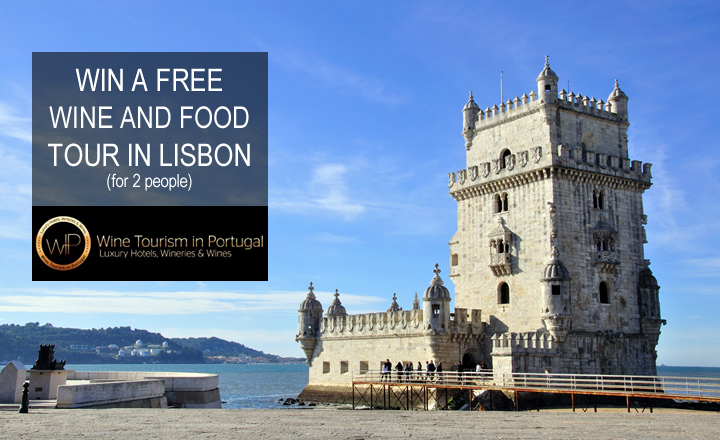 So stay tunned if you want to win tours and experiences that will grant you the opportunity to make the most out of your journey in Portugal! If you want to keep up with our news and future contests, subscribe Wine Tourism in Portugal Newsletter and receive all of our special offers, news, articles and contests directly in your inbox.